Do you explore the place where you live and the towns and countryside, the parks and waterways that surround it? One way to improve your “traveler skills” is by using them at home. Using my small home town — New Bern, North Carolina – as an example, I’ll illustrate a few ideas about touring the place you know best. For many of my readers this won’t be “news” but I hope the suggestions may help you discover something new in New Bern. And for my readers in other places, perhaps I can convince you to drive an hour east of I-95 on your next southern trip to discover this charming town. Wander through your downtown business area. We have many interesting new shops and pubs in New Bern, places that have opened within the past year or two. If you live here, have you been downtown lately? If not, go! I think you’ll be pleasantly surprised. Try a new restaurant! There are places all over New Bern that have opened within the past couple of years. Have you tried two of my favorite places, Bayleaf (for Indian food) or Thai Thai? Have you heard the music in the bars downtown or on the waterside deck at the Doubletree hotel? Take your camera for a walk! I find that looking for photo ops makes me much more aware of my surroundings. Or, if you have a smart phone, use that camera when something new surprises you. Find a place you’ve never visited that’s within ten miles (or 20 or 50) of your home. Go for a hike! If you don’t have a boat, rent one or take a “tourist cruise.” Look at your town as if it’s new to you – you’ll be surprised at all you’ll see. Buy a ticket to a tour. The Kitchens of New Bern tour to benefit the Food Bank of Eastern North Carolina will be on again the last Saturday in September. New Bern’s Ghostwalk will be happening soon. Each Spring brings the historic homes tour and every Christmas you can see Tryon Palace decorated for the holidays. If you live here, pretend you’ve never been here before and see our town with new eyes. And if you haven’t been to New Bern, y’all come and see us, hear? 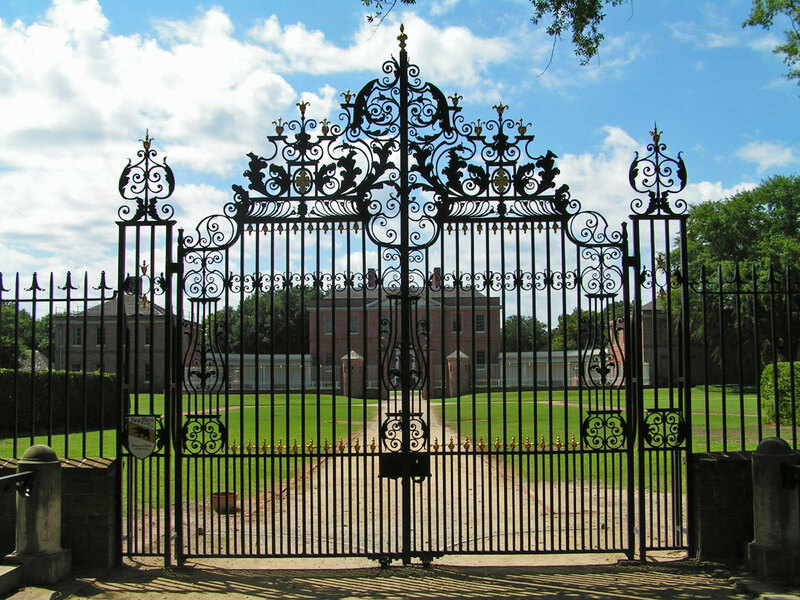 The photo at the top is of the ornate gates at the entrance to Tryon Palace, New Bern’s most popular tourist destination.